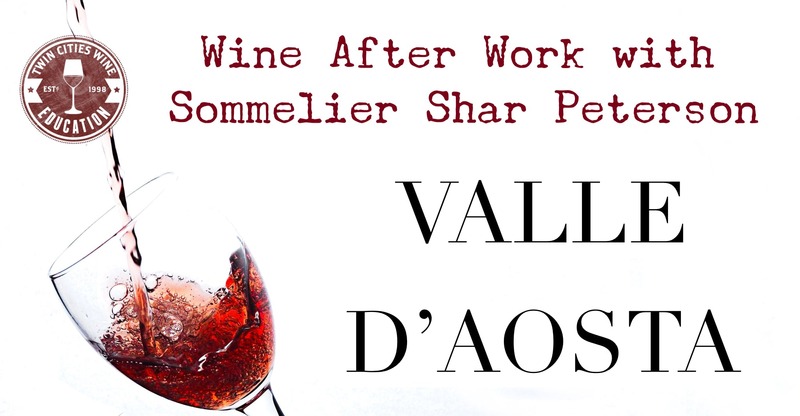 Join sommelier Shar Peterson for a new class diving into an amazing wine region, little known to Americans: Valle d’Aosta. The Asota valley is located in far northern Piemonte, on the Swiss border. It’s the smallest wine region in Italy in both size and production (only 36,000 cases total of DOC production), and it’s the highest elevation vineyards in all of Europe. Because of the high elevation, the phylloxera louse was never able to take hold, resulting in most vines being on their own rootstock (a rarity worldwide, but especially in Europe). Some varieties that grow here you know well: Pinot Noir, Dolcetto, Nebbiolo. Then there some wonderful oddities: Vien de Nuts and Petite Rouge, plus many more. Come learn about the region, the people, and the wines in this fantastic and beautiful corner of Italy! Class starts at 5:30 and includes some small bites from the kitchen of Black Dog Cafe.